Our range of products include poly packaging films, shrink film, laminated packaging film and flexible packaging film. Acclaimed in the industry as a manufacturer, supplier, trader and exporter, we are engaged in offering Poly Packaging Films. Keeping in sync with the changing trends of the market, these bags are manufactured at our end in accordance with the guidelines laid in the industry. Moreover, we have a spacious warehouse facility, where these products are stored accordingly. Well-known in the market as a manufacturer, supplier, trader and exporter, we are engaged in offering Shrink Film Manufacturer. Attractive in designs, these bags are manufactured with sophistication in accordance with the prevailing market trends. Besides, having vast distribution network, we are committed to dispatch our range in stipulated time-period. To meet the diverse requirements of our esteemed clients, we are engaged in offering an extensive range of Laminated Packaging Film all over the nation. These bags are light in weight and are easily carried. Available in hygienic finish, these bags are offered by us in different sizes, lengths and capacities as per the needs of our customers. With the aid of modern machinery and technology, we are engaged in manufacturing, supplying, trading and exporting Flexible Packaging Film. Our offered bags are developed with the help of modern tools and machines that are operated by our team of professionals. 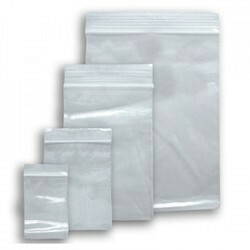 In order to avoid damage during dispatch, these bags are packed in high-grade packing material. Looking for Packaging Film ?